SAN FRANCISCO -- A camera crew was allegedly assaulted by protesters in San Francisco's Mission District tonight, according to police. 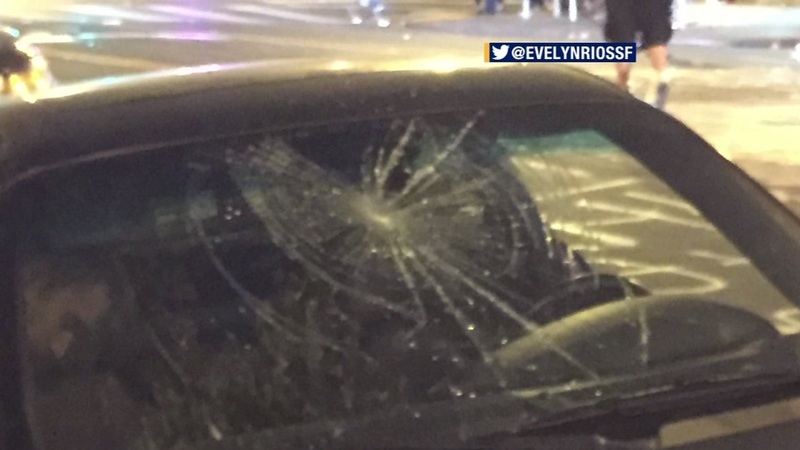 The incident took place around 9:30 p.m. on Valencia Street near the Mission Police Station. Several protesters confronted the news crew demanding not to be filmed, then assaulted the crew resulting in injuries not considered life-threatening, police said. Nearby officers attempted to separate the people involved and arrested three protesters on suspicion of battery and resisting arrest. Many of the protesters left the scene, according to police, but 30 to 40 people stayed on Valencia - throwing garbage into the street and lighting it on fire. They left the scene after an order to disperse. Police say they used a fire extinguisher to put the flame out. No officers were injured, but police advised media outlets covering protests over the weekend to be aware of a hostile element. Sky7 HD caught tense moments between law enforcement and Black Lives Matter activists Friday night during a protest in Oakland.